Almost all Internet Scammers use MoneyGram & Western Union to receive their ill-gotten gains. So, why is it that these money transfer services are so prevalent in advance fee fraud and what are they really all about? Simply, MoneyGram and Western Union enable anyone to send money to almost anyone, anywhere. With a very few notable exceptions (eg, Islamic Republic of Iran and DPRK) there are outlets widely distributed all over the Globe. To send money, the Sender simply visits a MoneyGram or Western Union outlet, completes a form, hands the form and the cash to the cashier, and is given a confidential transfer number. (MoneyGram uses an 8-digit Reference Number; Western Union uses a 10-digit Money Transfer Control Number (MTCN)). To send money to certain countries also requires a Test Question and Answer. There are limits on the amount of cash that may be sent and these differ by country. The Sender then communicates to the Receiver the transfer number and (if applicable) the Test Question and Answer. To Receive money, the Receiver simply visits a MoneyGram or Western Union outlet, confirms his/her name, the transfer number and (if applicable) the answer to the Test Question. Some form of identity may also be required. The cash is then counted out; the Receiver pockets it and leaves. There is of course commission to pay and this can be quite punitive, particularly for smaller sums. So, why do Scammers prefer these forms of payment? The answer is that MoneyGram and Western Union are less secure methods of payment than say, bank transfer or PayPal. This is because there is no ‘paper trail’ leading to the Receiver. He or She may need to provide some ID, but in many countries this may be rather rudimentary and easily forged or readily obtainable on the black market. For that reason, a fraudster can collect the money under a false name, show their false ID, and leave with the cash, never to be seen again. There is no way to trace the miscreant as they do not hold an account with MoneyGram or Western Union. MoneyGram and Western Union each has comprehensive advice on its website concerning scams and fraud. Both companies are well aware that their services may be misused by scammers, and even though their websites links to this information are not as prominent as they could be, they each have various anti-fraud measures in place. That aside, it is always going to be very difficult to make ANY Worldwide money transfer service fraud-proof. By its very nature, such a service must be simplistic for it to be feasible in countries with limited resources and poor infrastructure. NEVER USE THESE SERVICES TO SEND MONEY TO A STRANGER. Do remember that MoneyGram and Western Union are convenient and efficient methods of sending money quickly across your country or across the globe. 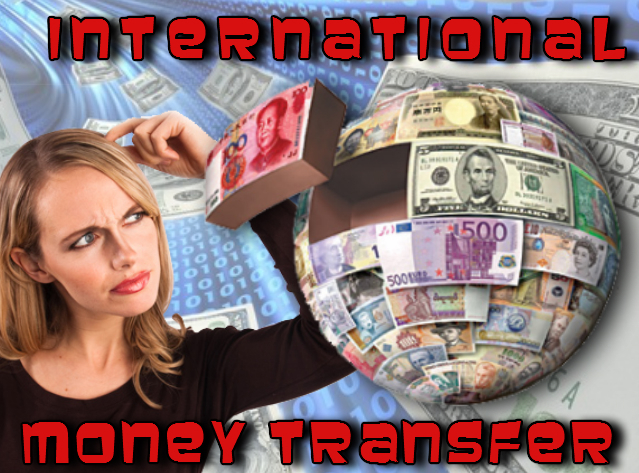 Millions of people worldwide legitimately use these convenient international money transfer services. It may be easy for some to label the operators of such services as ‘the scammer’s friends’, but blaming these services for the crimes of scammers isn’t the answer. Understanding how to use them safely IS.